New York: The Orion Press, 1959. 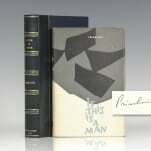 First edition of Levi’s masterpiece, which was later published as Survival In Auschwitz. Octavo, original blue cloth. Signed by Primo Levi on the title page. Fine in a very good dust jacket with a small chip to the rear panel. Jacket design by Wladislaw Finne. Translated by Stuart Woolf. Housed in a custom half morocco clamshell box. Extremely rare signed. 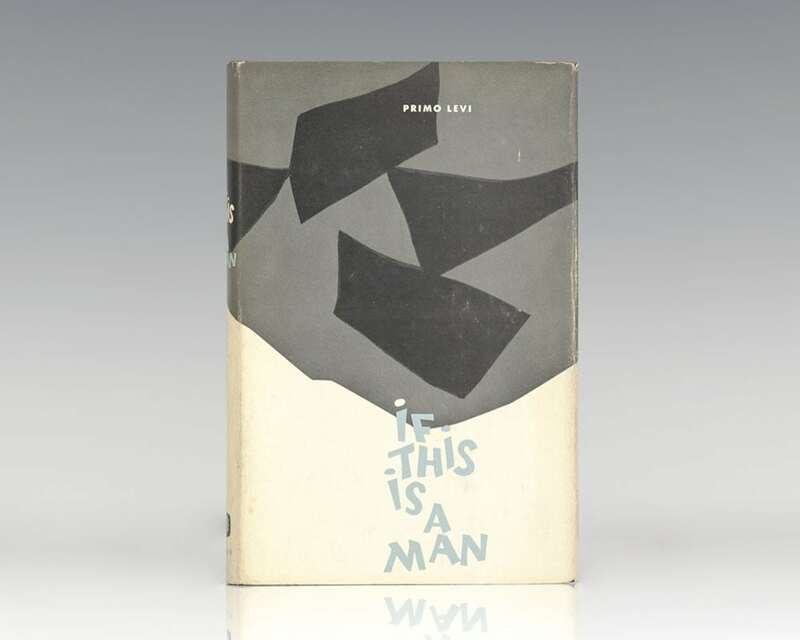 Primo Levi's 'If This Is a Man' has been described as one of the most important literary works of the twentieth century. It describes the year Levi spent as a prisoner in Auschwitz, the death camp in Nazi-occupied Poland. "He was himself a magically endearing man, the most delicately forceful enchanter I've ever known" (Philip Roth). The Times Literary Supplement proclaimed that "[i]t has the inevitability of the true work of art." Named by Modern Library as one of the 100 best non-fiction books of the twentieth century. 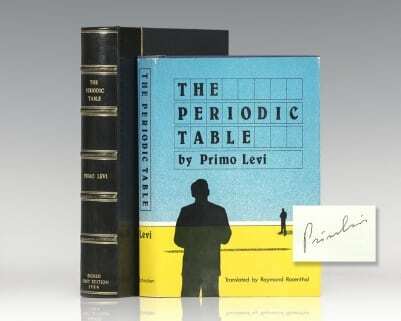 Levi, Primo; Translated by Raymond Rosenthal. New York: Schocken Books, 1984. 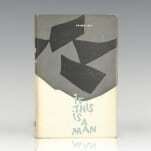 First edition of this classic collection of short stories by Primo Levi. Octavo, original cloth. 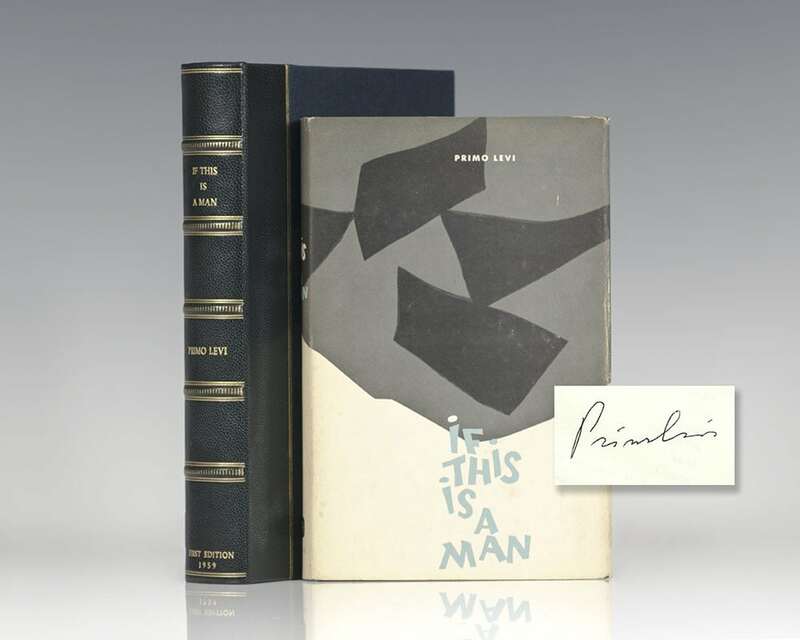 Signed by Primo Levi on the title page. Fine in a fine dust jacket. Jacket design by John Clarke. Translated by Raymond Rosenthal. Housed in a custom half morocco clamshell box. Books signed by Levi are rare. First Italian edition and true first. Octavo, original cloth. folded map. Signed by Primo Levi on the title page. Fine in a near fine dust jacket.